CONSULTING: Team of high qualified engineers with a wide experience in forging. Simulation tools and other equipment to offer tailored solutions to customers. 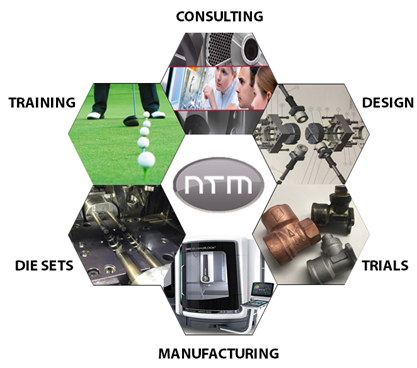 DESIGN: Neotecman offers functional tooling designs following the specifications of the customer. MANUFACTURING: Dies and tooling from the designs previously validated by the customer. TESTS: Testing and validation of the dies considering different scenarios and materials. DIE SETS: analysis, design, simulation, manufacturing and tests. TRAINING: Theoretical and practical training courses sharing experiences and latest innovations.